(Comox Valley, BC) Comox Valley Land Trust (CVLT) is pleased to announce its newest land acquisition project — the Morrison Headwaters Nature Preserve. The expansive, undeveloped oasis nestled between the margins of the Village of Cumberland and the City of Courtenay provides habitat for an extraordinary diversity of wildlife. This unique spring-fed watershed provides ideal spawning and rearing conditions for salmon and trout year-round. In addition, the Morrison Headwaters is home to over a dozen species-at-risk, including mammals, fish, amphibians, and birds. 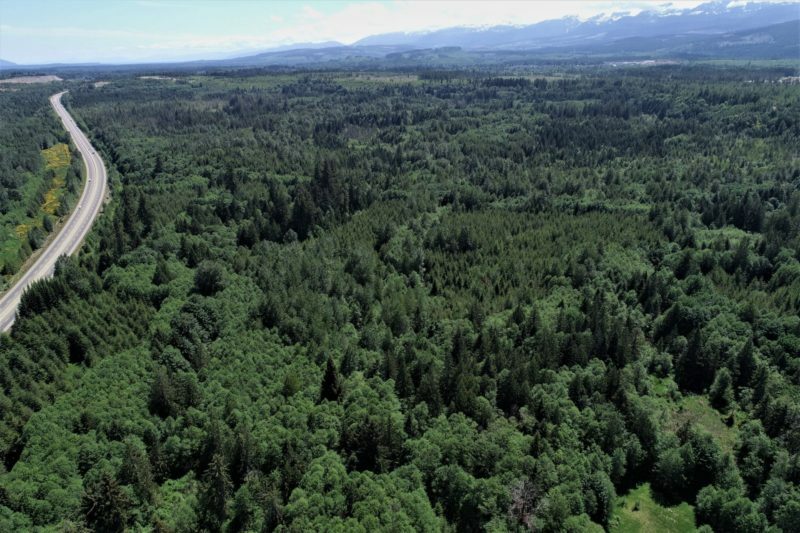 Understanding the high ecological values of this parcel, the Comox Valley Regional District(CVRD) has entered into a partnership with CVLT for the acquisition of this land. At the October 2, 2018, CVRD board meeting, the board approved the principles of a land acquisition partnership between the CVRD and CVLT. The CVRD will contribute $325,000 from its dedicated park acquisition fund toward the purchase, and CVLT will raise the additional funds required to complete the purchase of the 22.5-hectare (55-acre) parcel in Electoral Area C. Upon successful acquisition of the lands, the CVRD will manage the land as a nature park within the CVRD Baynes Sound, Electoral Areas B and C Parks and Greenways Service. “This is a great example of two organizations working together towards common objectives and we are excited at the opportunity to further protect wetlands and fish habitat in the valley,” said the CVRD Manager of Parks, Doug DeMarzo. With the contribution from the CVRD, CVLT will have reached 75% of the $870,000 fund raising goal. CVLT is relying on the financial support of the community to secure the future of this vital parcel and has until March 31st, 2019 to raise the additional funds needed to purchase and protect the land. Success with this project will be the first step towards a campaign to protect the entire Morrison Headwaters area.